WITH A last-gasp runners-up finish at the US Open, Karl Boyes, the ebullient Englishman, stole the final automatic qualifying spot from under the noses of more fancied rivals. And it now sets him up for his fourth PartyPoker Mosconi Cup appearance next month. With Albin Ouschan topping both World and Combined Rankings after a magnificent second half of the year, and Niels Feijen winning the Euro Tour Ranking, the selection of the third spot reverted to the Combined Ranking. Feijen already occupied second spot so the final automatic berth went to the No.3 on that list which was Boyes. The two wild card picks went to England’s Darren Appleton, who won the WPA World Chinese 8 Ball Championship earlier in the year and Holland’s Nick Van den Berg who was the next highest placed player on the Combined Rankings following the final qualifying event in Virginia. 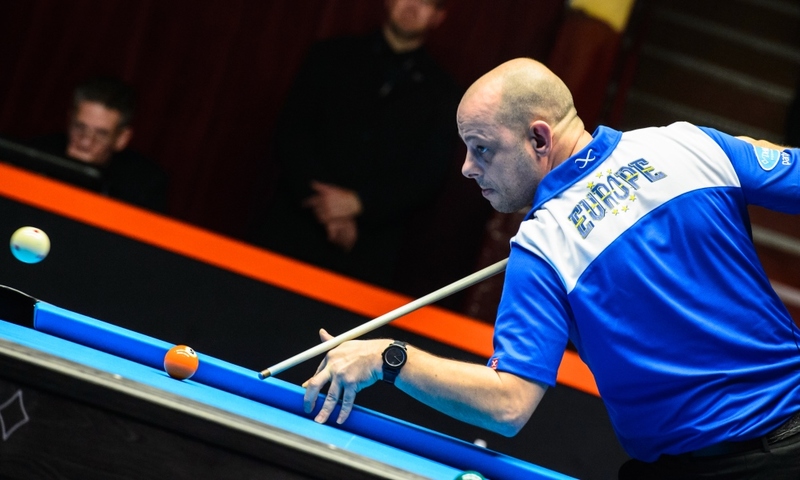 Taking place from Monday December 7 to Thursday December 10, the Europe v USA showdown is hosted by The Tropicana in Las Vegas and will be the 22nd annual running of pool’s biggest event.